The Department of Information and Communications Technology (DICT) has a new Undersecretary for Management and Operations. Industry veteran Monchito Ibrahim has assumed the post last March 13, 2017. He replaces Jorge Sarmiento in the pivotal position in the DICT. This was welcomed positively by the National ICT Confederation of the Philippines (NICP), a convergence of more than 70 information and communications technology (ICT) councils, applauds the appointment of Monchito Ibrahim as one of the mew undersecretaries of the Department of Information and Communications Technology (DICT). ICT councils from various provinces and cities in the country consist of local stakeholders from government, academe and industry, developing strategies to generate ICT-enabled jobs and opportunities and drive innovation in the countryside. 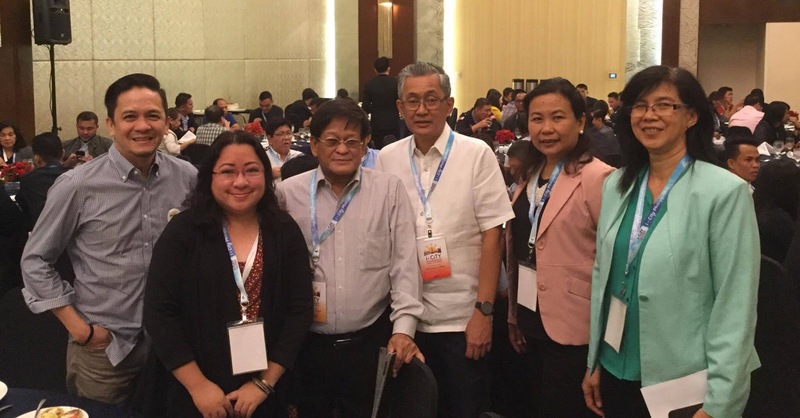 Ibrahim has been instrumental in encouraging ICT councils to flourish from just ten in 2008 to now almost 70 councils in Luzon, Visayas and Mindanao. Along with the NICP’s warm reception for the appointment, NICP co-founder, former president and current trustee Jocelle Batapa-Sigue thanks Ibrahim for his persistence and dedication in helping NICP since its inception in 2008. Currently, NICP is chaired by young IT entrepreneur Stephanie Rosalinde Caragos of the Cagayan De Oro ICT Business Council. Previous heads were Batapa-Sigue of the Bacolod-Negros Occidental Federation for Information and Communications Technology (BNEFIT), George Sorio of Metro Clark ICT Council, Lizabel Holganza of ICT Davao, Inc., Rosemarie Quinto-Rey of Legazpi City ICT Council and Wifredo Sa-a of the the Cebu Educational Development Foundation for Information Technology (CEDFIT). These councils helped establish and develop the country’s current Next Wave Cities, or alternative destinations for IT-BPO other than the established IT hubs of Metro Manila, Cebu and Clark. Monchito Ibrahim garnered awards such as ICT Contributor of the Year, Mr. Ibrahim was cited for his work in Government, primarily in the implementation of the Philippine Cyber Corridor Initiative, which aims to make the Philippines the Global Leader for IT-BPO services. He was also instrumental in sustaining the development of the Philippine cyberservices industry, helping the country reach its current status of being second in global market share next to India. He also led marketing initiatives in promoting the Philippine IT-BPO brand worldwide, resulting in the country being awarded “Outstanding Destination of the Year” in 2007 and 2009. The new position puts internal management along with administrative, financial and legal management under the purview of Ibrahim and also that of procurement.